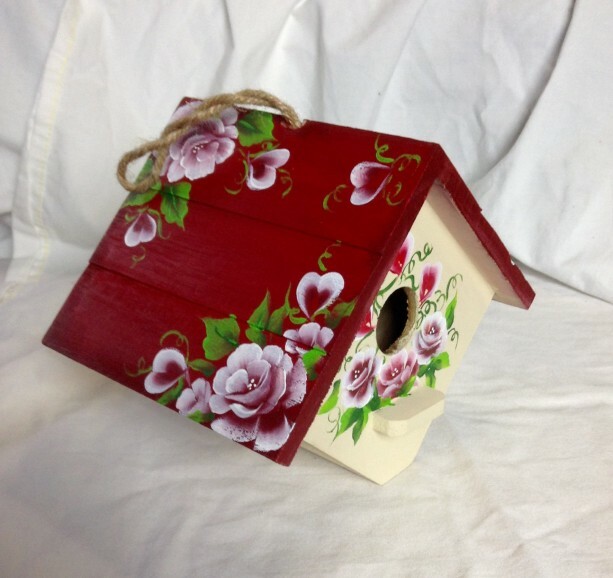 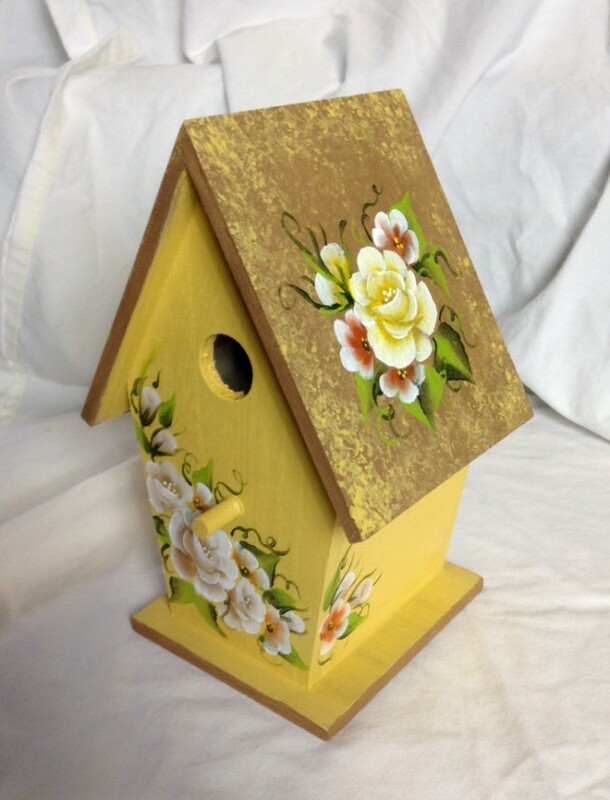 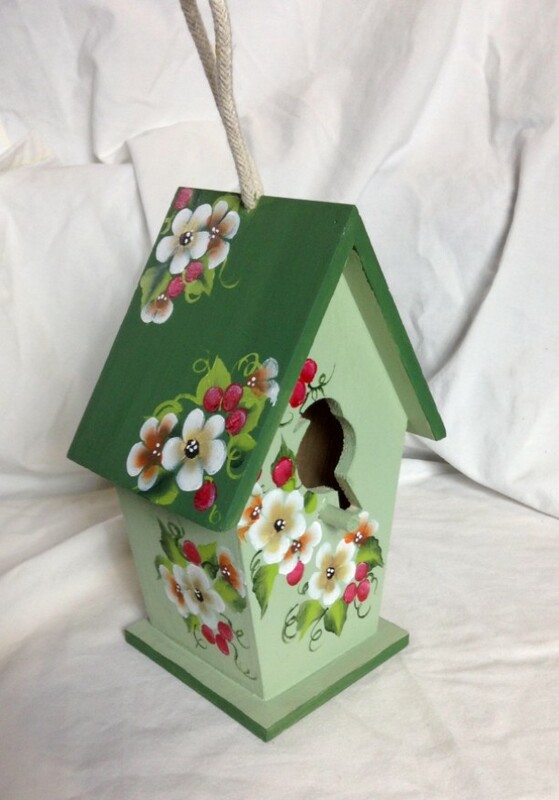 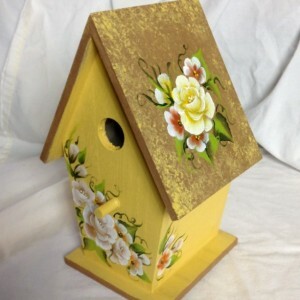 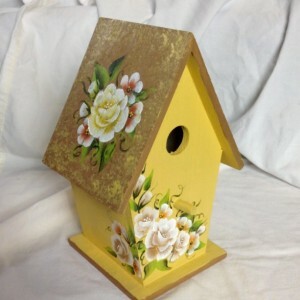 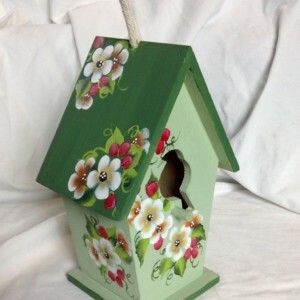 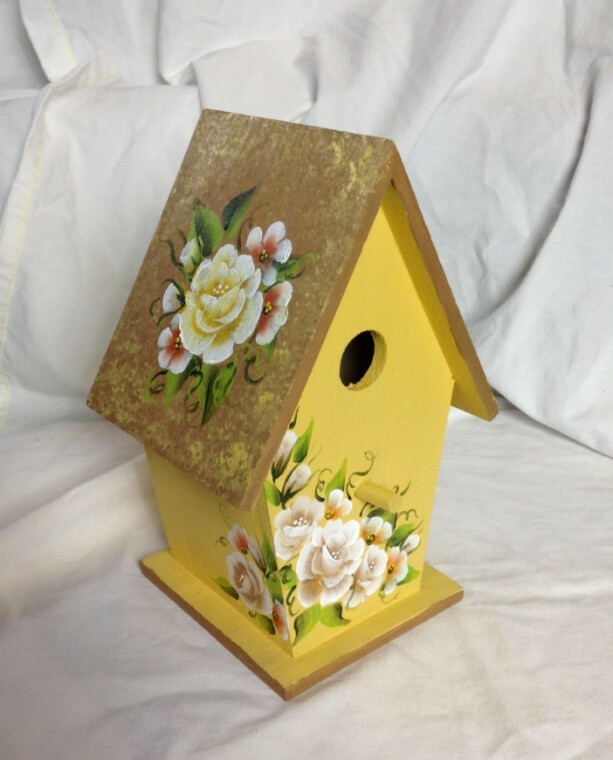 Beautiful birdhouses hand painted with one stroke florals from roses to daisies Each birdhouse has it's own style, some have a loop and some don't Each house measures About 8 to 9 inches tall The red hearts is about 6 tall. 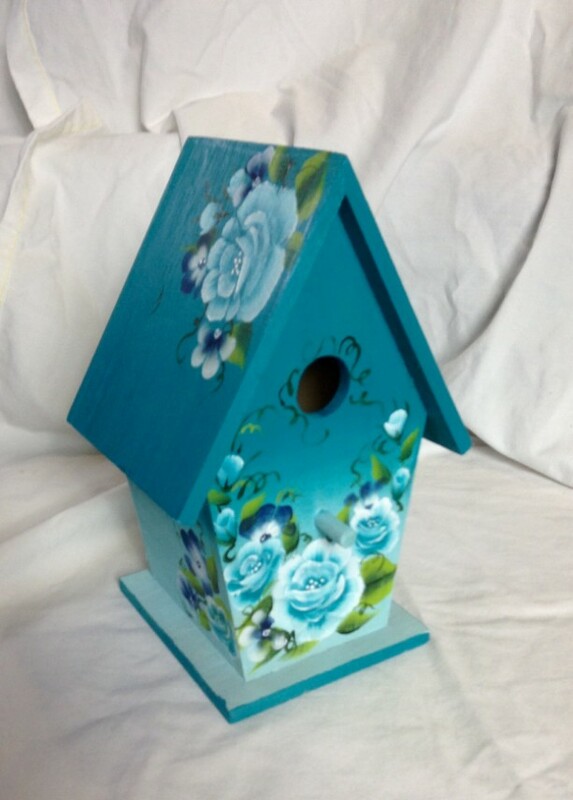 All my birdhouses are varnish. 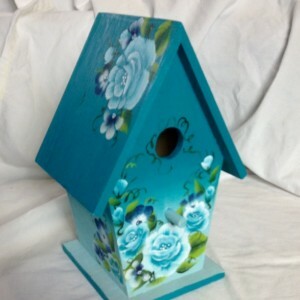 please let me know which color birdhouse you would like.